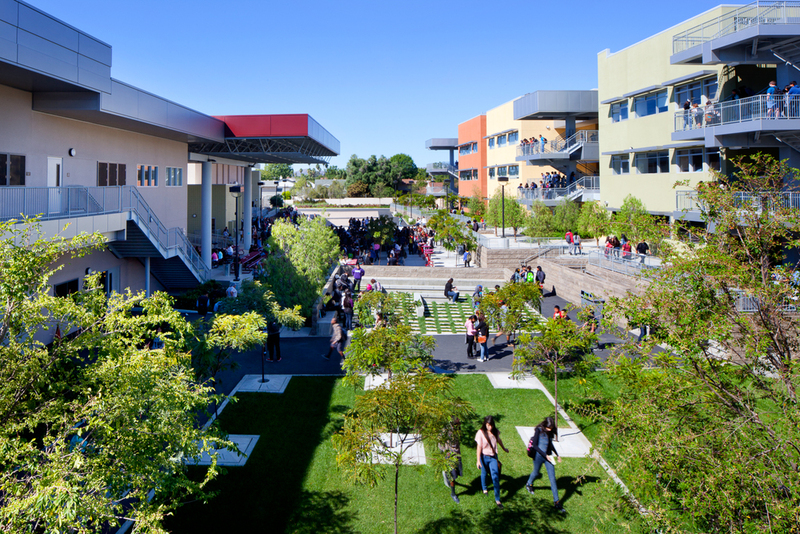 Valley Academy of Arts and Sciences is a compact $95 million high school for 1,200 students. The total site is just over 11 acres with a program developed in three small learning communities for the Science-Technology-Engineering & Math (STEM), the Arts, and Music programs. 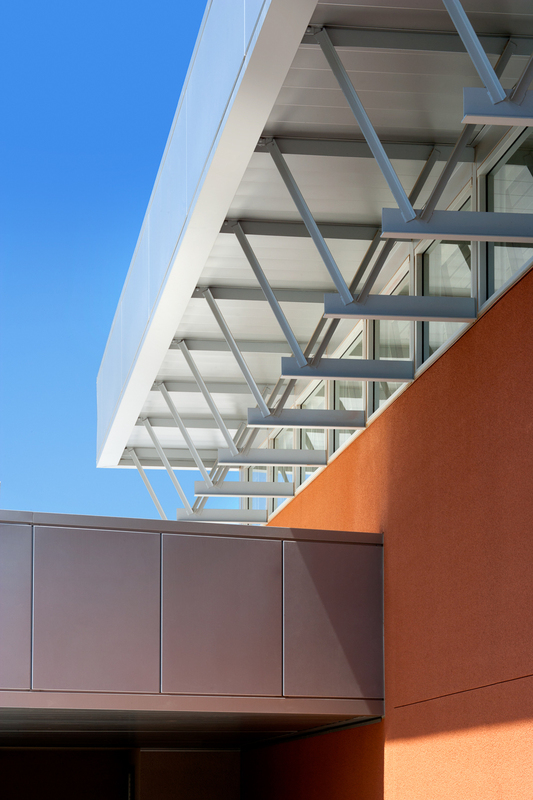 It was designed in and around the existing steel structure of a former hospital main building which was adapted for classroom use, saving the school approximately $17 million. The school, in collaboration with Global Green USA, obtained CHPS Certification, and received matching funds under the High Performance Schools grant. Remarkably, the school is designed to respond closely with its neighborhood as a community center and joint use of the school facilities, beginning with the academic program.